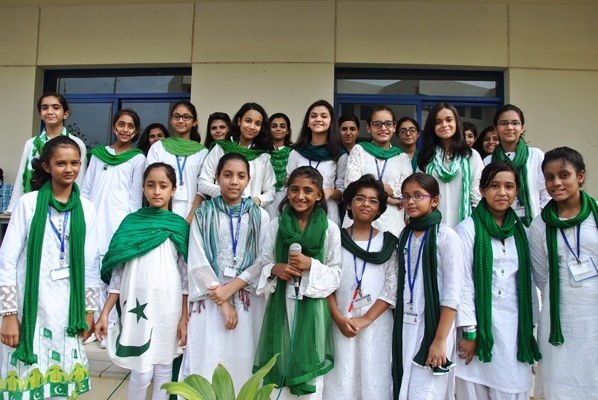 On Friday 12th August, 2016 the 69th Independence Day of Pakistan was celebrated with full national fervor at Dawood Public School. 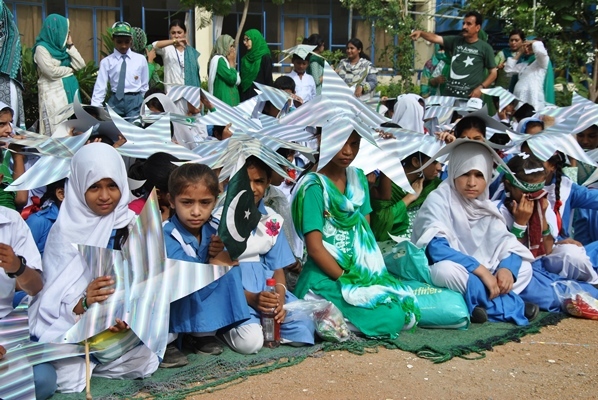 The theme of this year’s Independence Day was the colours of Pakistan flag. 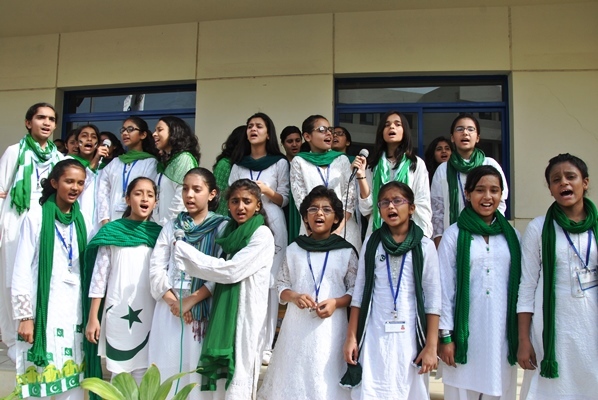 Indulging in patriotic spirit students sang national songs. 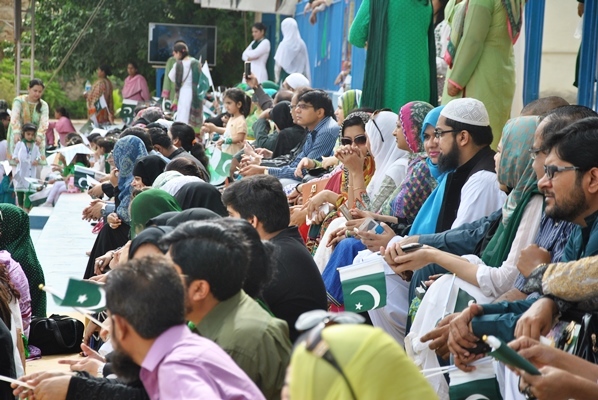 The formal ceremony commenced with the recitation of the verse of Holy Quran followed by the national anthem. 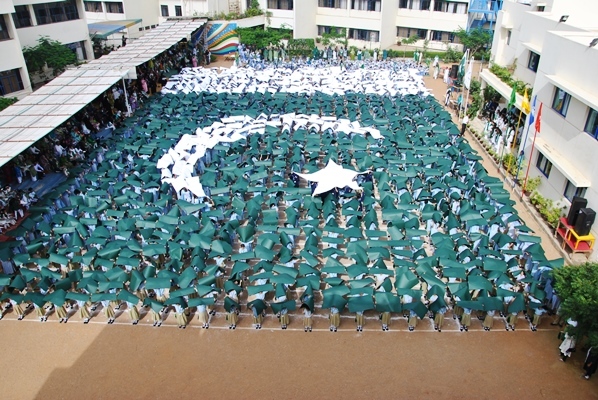 The national and school flags were unfurled by two Secondary section students. 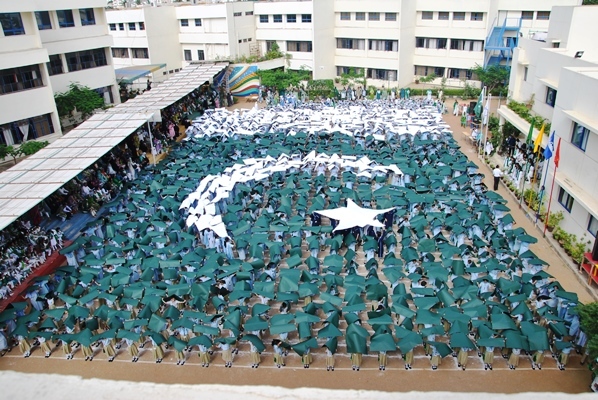 Later the formation, creating the nation flag came alive. 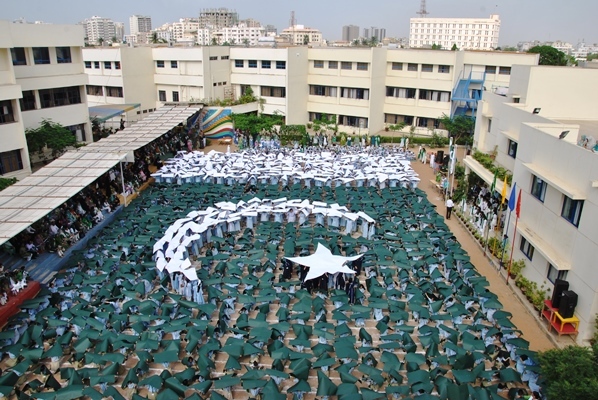 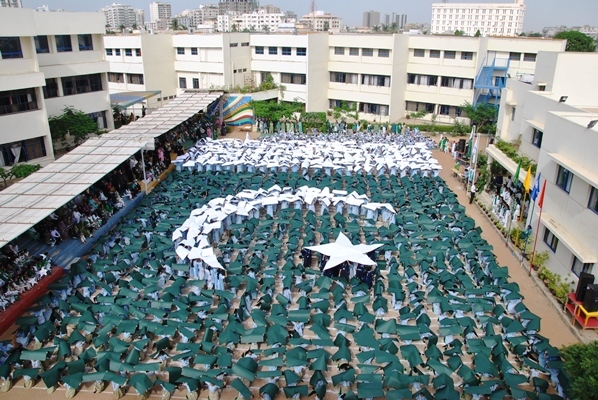 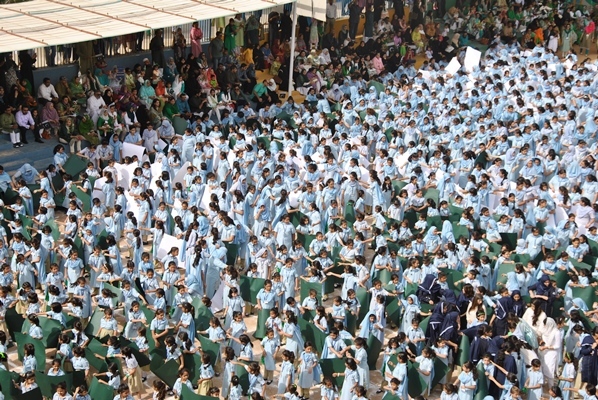 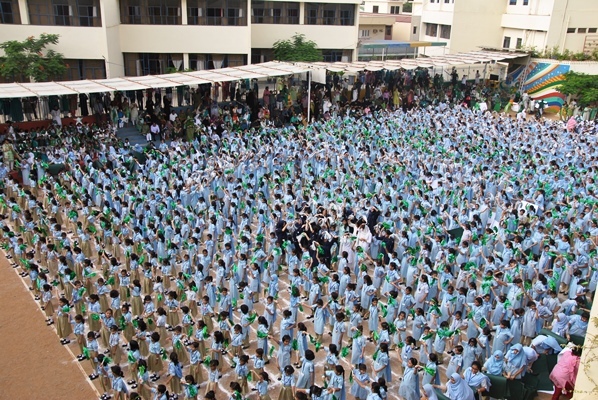 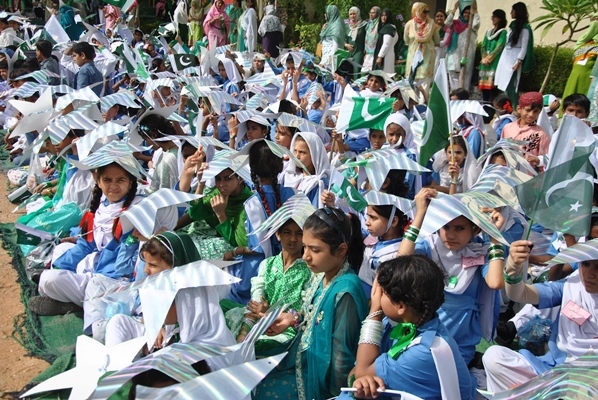 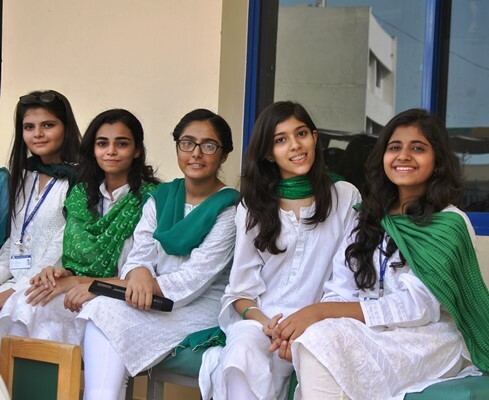 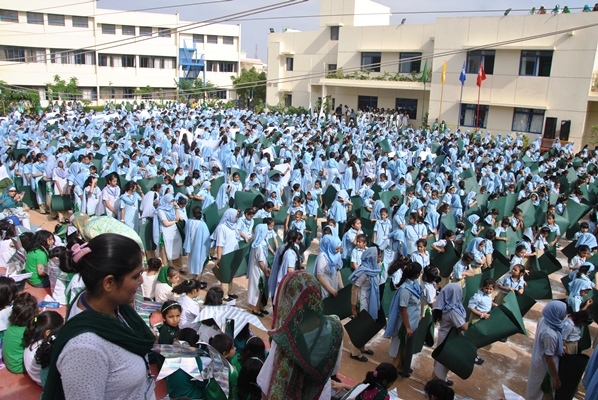 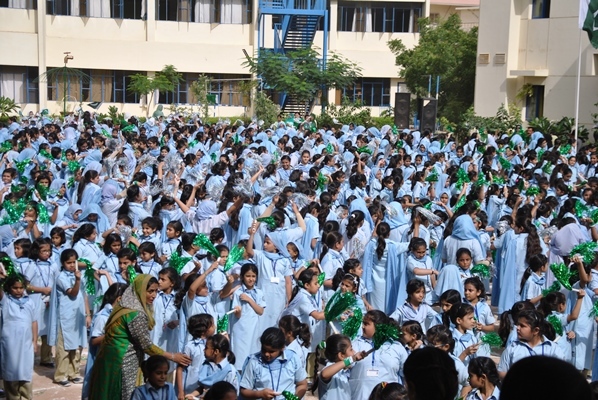 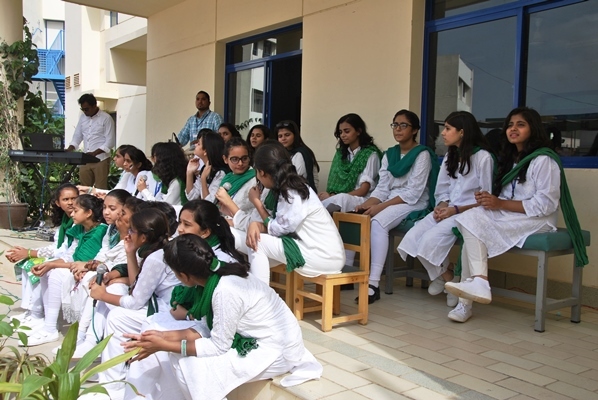 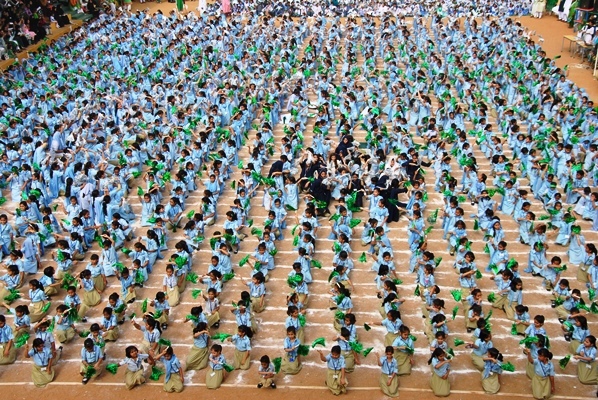 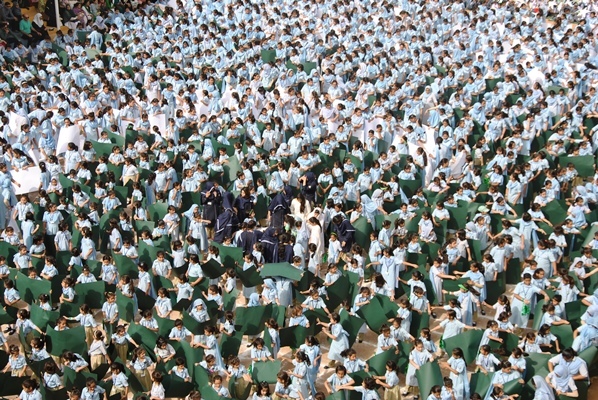 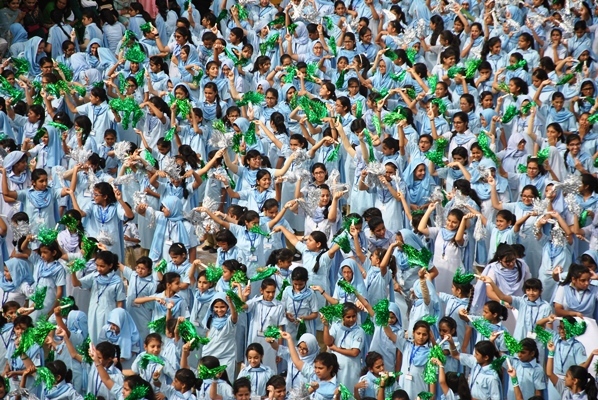 Students moved within the space provided to them forming the green field, white crescent, five rayed star and the vertical white strip with green and white cards and silver stars. 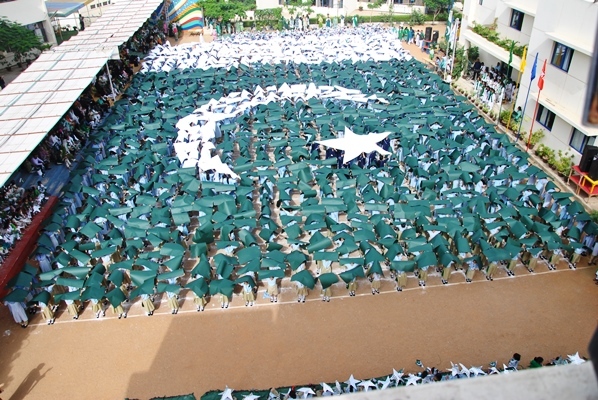 This was a sight to behold. 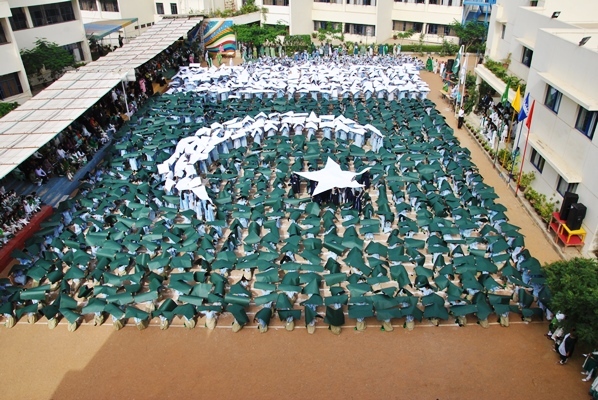 About 1335 students from class I to XI worked hard to represent the flag. 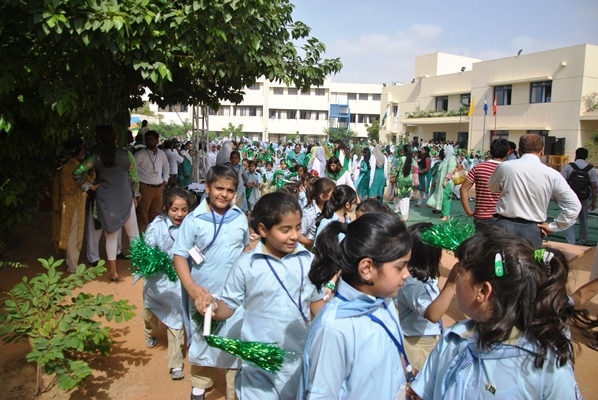 The audience was impressed by the hard work of the students and staff. 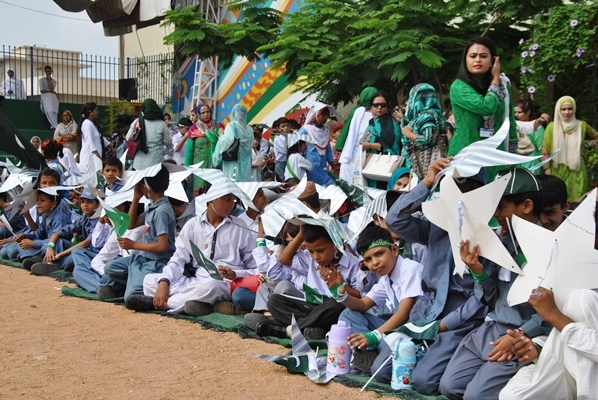 The ceremony was wrapped up by students representing the flag by flaunting the colourful pomp pomps. 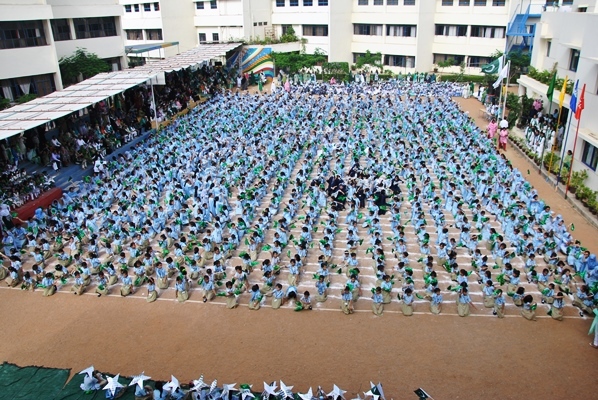 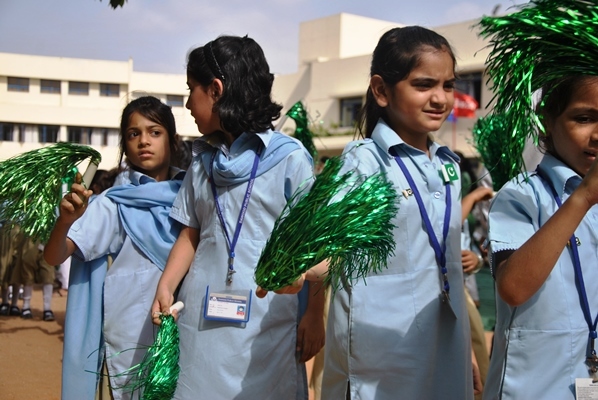 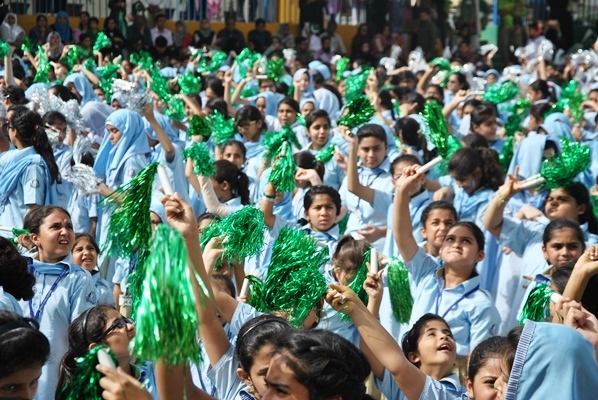 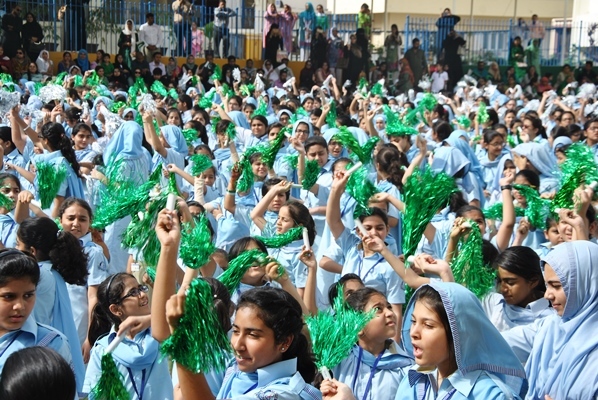 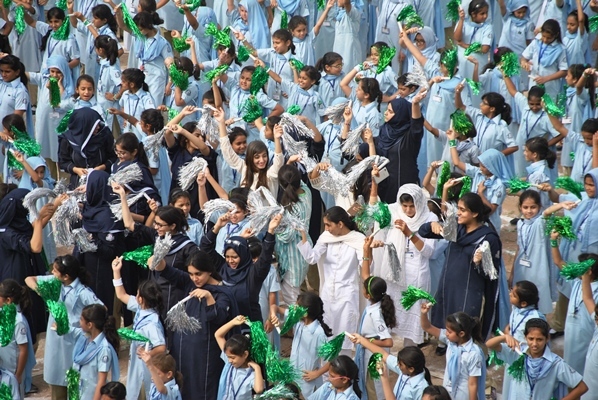 Students of P.E.C.H.S, government school (adopted by TDF) were invited to attend the ceremony.